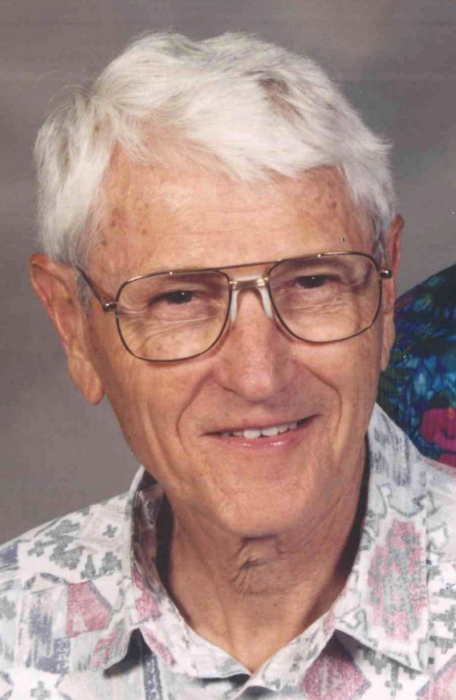 Robert Leizear “Bob” Bird died of pulmonary fibrosis Thursday, April 4, 2019, at Bishop Place retirement community in Pullman. He was 91. An avid reader and golfer, and a devoted husband and father, Bob had moved to the Palouse in 2017 with Amy, his wife of 66 years. Bob worked for five decades as a metallurgist specializing in zinc refining. He made friends in three states on the golf course, in the clubhouse and at church. He was born Aug. 23, 1927, in Olney, Md., near Washington, D.C. He was the youngest of four children born to Murray and Florence (Leizear) Bird. The family moved to Raleigh, N.C., where Bob graduated in 1945 from Needham Broughton High School. He enrolled at North Carolina State College to study chemical engineering, graduating in 1949. He was a member of Army ROTC and Pi Kappa Alpha fraternity and participated in intramural boxing. After college, Bob moved to Ellensburg, Wash., where his brother, Herbert, was on the music faculty at Central Washington State College. In December of 1950, Bob met Amy Legg, a kindergarten teacher and recent CWSC graduate. They were married Dec. 22, 1951, at Grace Episcopal Church in Ellensburg. The following year, the couple moved to Kellogg, Idaho, where Bob was employed by the Bunker Hill Company. Amy died Dec. 31, 2017, shortly after their 66th wedding anniversary. Bob applied his chemical engineering skills at Bunker Hill, becoming an expert in electrolytic zinc refining. He supervised several departments at the company’s sprawling zinc plant before being promoted to plant manager in 1968. In retirement, he enjoyed the annual meetings of the zinc plant’s Twenty-Year Club, and in 2008, narrated a slide show to mark the 80th anniversary of the plant’s opening. He left Bunker Hill in 1977 to be part of the start-up team of a new zinc refinery near Clarksville, Tenn., operated by Jersey Miniere Zinc. Bob held several management positions in Clarksville until retiring in 1992. Bob and Amy moved the following year to Prescott, Ariz., where they lived until 2017. The Birds had three sons, Kenton, John and James, all born in Kellogg. Bob was proud that his sons graduated from the University of Idaho in different fields: accounting, electrical engineering and journalism. A lifelong Episcopalian, Bob was a choir boy at the Church of the Good Shepherd in Raleigh and was active in churches wherever he and Amy lived, mostly recently St. Luke’s in Prescott. He was an Eagle Scout and encouraged all three sons to become Boy Scouts. Bob and Amy enjoyed traveling in the United States and abroad. In 1977, they spent a month in England and Scotland, where Bob played golf at the Old Course at St. Andrew’s. When Kenton graduated from the University of Wales in 1980, they returned to Britain for another extended holiday. Bob and Amy participated in Elderhostels in Charlottesville, Va., and on the Navajo and Hopi reservations. They took a cruise through the Panama Canal in 2008 and toured New Zealand in 2010. Bob learned to play golf at the Kellogg Country Club in Pinehurst and enjoyed the game for more than 60 years. He achieved a hole-in-one in January 2001 on a course near his home in Prescott in a foursome that included his son Kenton. In retirement, Bob read history, biography and fiction, a book a week in some years. He was a fan of Lee Child’s “Jack Reacher” series. Most recently, he completed a 736-page biography of Bing Crosby, one of the singers that Bob listened to for decades. Bob grew up in the Big Band Era, and loved music by Glenn Miller, Benny Goodman, Artie Shaw and especially Stan Kenton – for whom Bob and Amy named their first son. Bob listened to the 40s Junction channel on satellite radio and could usually name the title, bandleader and soloists for each song. Survivors include two sons, Kenton, and his wife, Gerri Sayler, of Moscow, and James, and his wife, Nanette, of Firestone, Colo.; two granddaughters, Julia Bird of Firestone and Jaci Bird, her fiancé, Apollo Kinsey, and their sons, Killian and Leizear, all of Tucson, Ariz. Bob’s second son, John, died in 1988. John’s widow, Robbin McInnis, of Forest Grove, Ore., and her children, Shaun McInnis and Amy Santmyer, remained close to Bob and Amy. Among Bob’s many nieces and nephews is Mary (Bird) Wood of San Francisco, whose parents introduced Bob to Amy in 1950. A memorial service will be held at 2 p.m. Saturday, April 13, at St. Mark’s Episcopal Church, 111 S. Jefferson in Moscow, with the Rev. Robin Biffle officiating. The family suggests memorial contributions to the jazz program of the University of Idaho’s Lionel Hampton School of Music or the University Library, in care of the UI Foundation, 875 Perimeter Dr., MS 3143, Moscow, ID 83844.